Siamese cats originated in ancient times in the sacred temple of Siam (now known as Thailand). The breed is surrounded by legend. It was believed that these cats would ward off evil spirits and bring good luck to their owner. They reached the United States of American in 1878 and the UK in 1884. 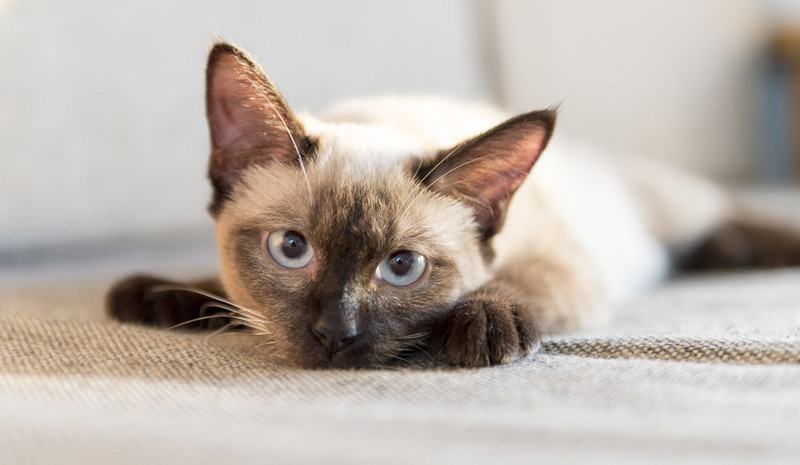 Two types of Siamese can be found, the traditional type and the modern type. The main differences are in appearance with the former bearing a round head with a strong, compact body and the latter bearing a triangular head with a light and slender body. These cats are active and loving and are very people orientated and make great companies. Average lifespan is 15 -20 years. Mammary Tumour – Siamese cats have an increased risk of developing breast cancer in comparison to other breeds. Signs include breast lumps, ulceration, swelling and/or pain.